Goosebumps 2: Haunted Halloween was released on 185d ago in the UK and the US. 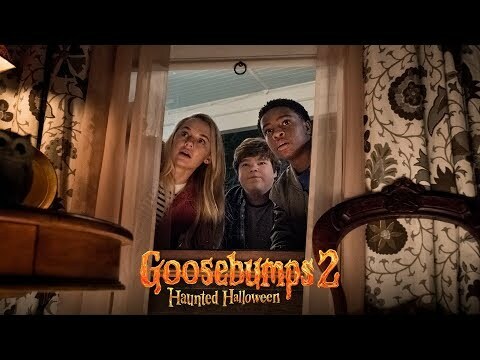 Based on 12 Goosebumps 2: Haunted Halloween Cinema reviews, Goosebumps 2: Haunted Halloween gets an average Cinema review score of 58. The score for all versions is 58 based on a total of 12 reviews. It’s Halloween and two middle school boys stand in front of hundreds of suddenly sentient Gummi Bears. There is a lot to admire about Goosebumps 2, but the film ultimately never quite delivers the goods. The only performance worth mentioning is Jeong, who brings his energetic weirdness to a rather small role. Slappy the Dummy unleashes an army of Halloween creatures on a small town in this sequel to the 2015 hit film based on R.L. Stine's best-selling books.